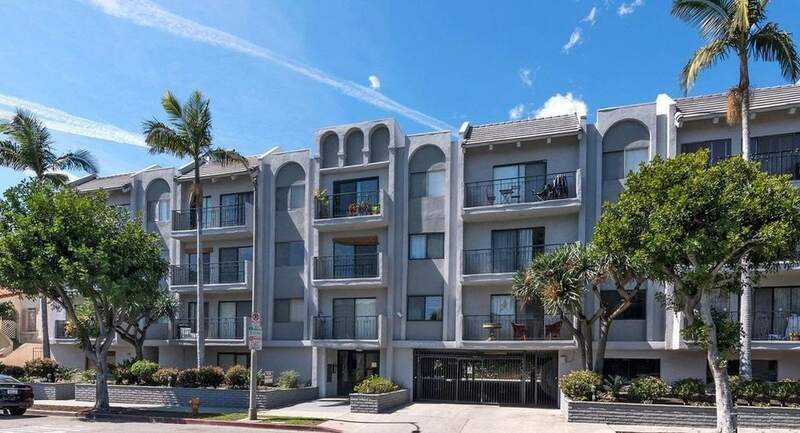 121 N Croft is a 29-unit midrise condo building located in Beverly Center. 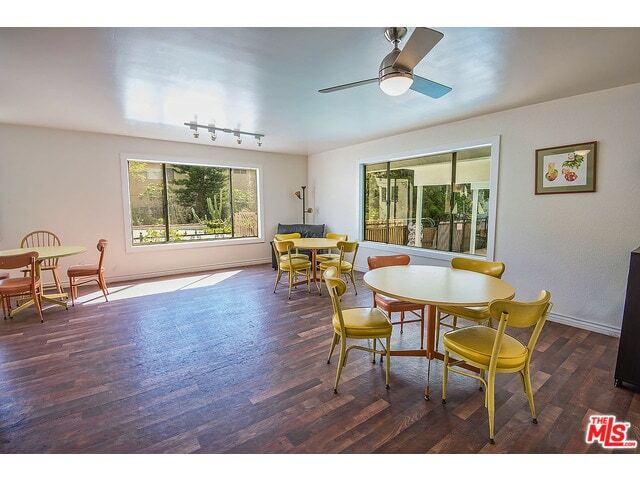 Built in 1972, the HOA has been fixing the building up- they have already painted the exterior, and replastered the pool, and painted the hallways and installed laminate flooring in the hallways. CURRENTLY redoing the lobby, repurposing the rec room as a gym, and investigating adding in unit laundry to each unit (the 03 stack is testing it). 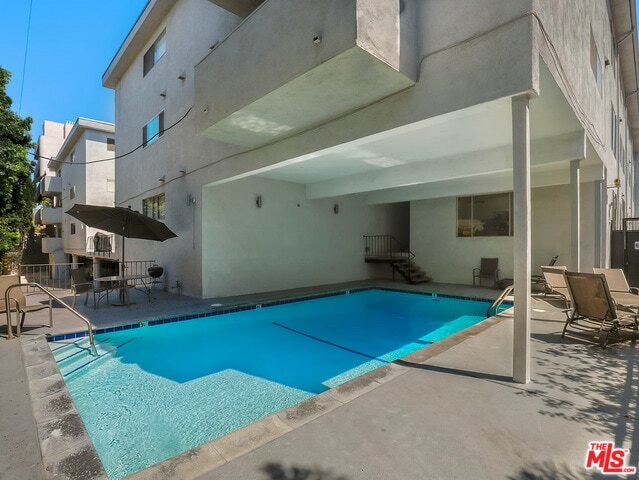 This location is very walkable with 3rd Beverly and the Beverly Center all within 5 minutes walk. And don’t forget about the Grove and LACMA nearby also! The architect for the building was Samuel Wacht. Originally built as apartments it was later condo converted. 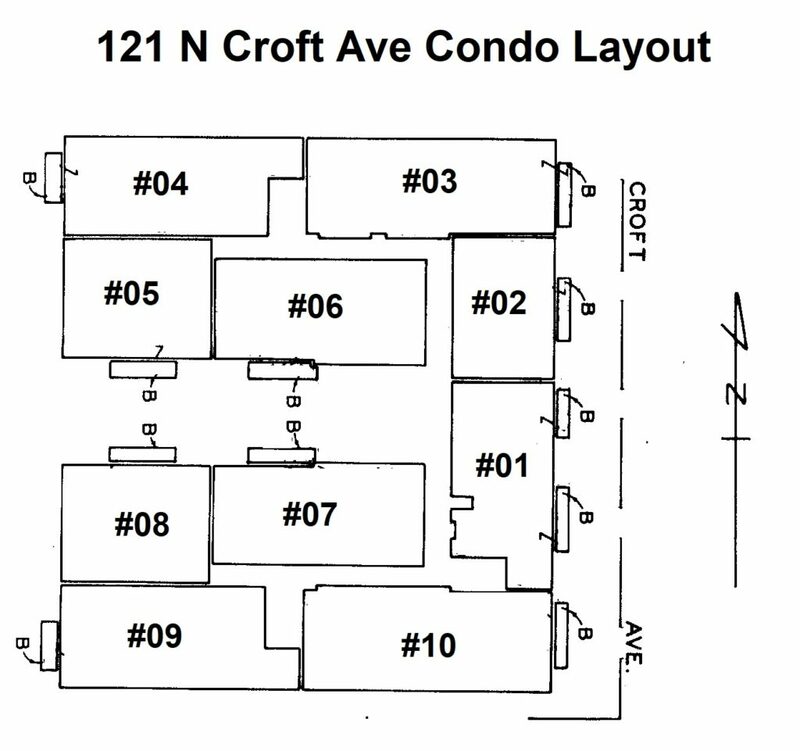 All floorplans are one level, the build has 3 stories, Stacks #02 and #05 and #08 are 1 bedrooms. Stacks #1,#3,#4,#6,#7,#9,#10 are 2 bedrooms, with #10 being the largest 2 bedroom floorplans. 10,1,2,3 all are street facing units. 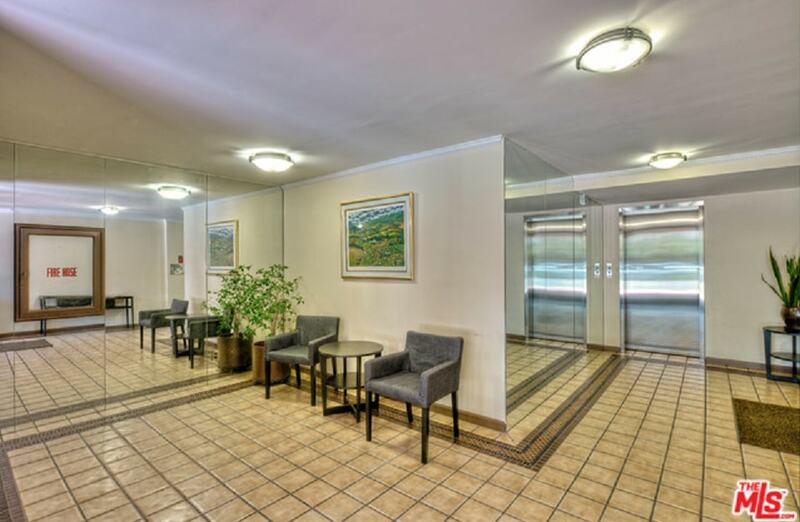 1 Bedroom condos get 1 parking space, and 2 bedroom condos get 2 parking spaces. There are built in storage lockers in the garage. Most of the parking is Tandem. 2 Guest Parking spaces. 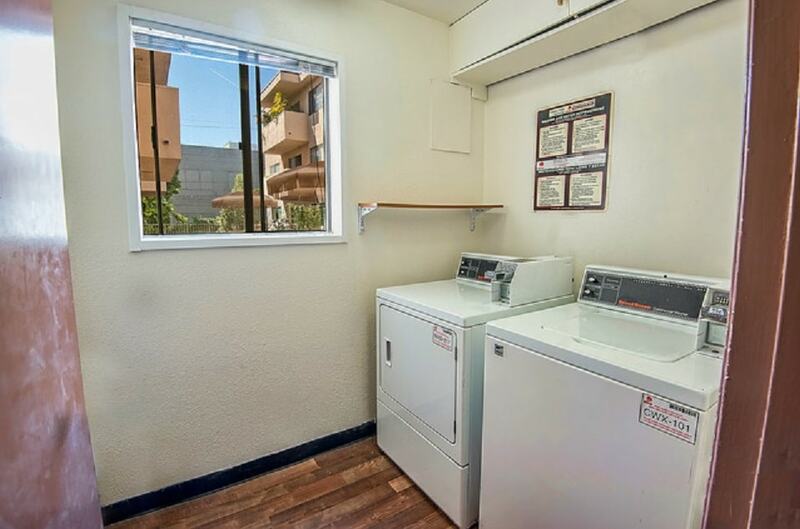 There is a community laundry room on each floor with 1 washer and 1 dryer. Right now the plumbing of the building does not support a washer/dryer in each unit but it’s something that the HOA is looking into for the future. They are experimenting with changing the pipes in some units so in unit laundry can be added. HOA dues Monthly Cost? $400/mo. HOA dues cover? Water and trash, building insurance, Property Management, reserves, common area maintenance.